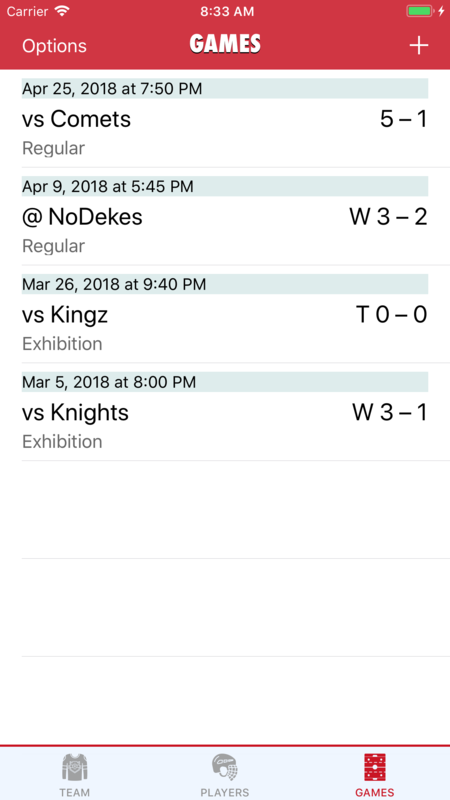 Goaliath is the bar-down best hockey stats tracker for iOS. Built from the ground up with minor hockey in mind, Goaliath makes it easy to track every shot, every goal, every face-off, and almost every other stat you're interested in. 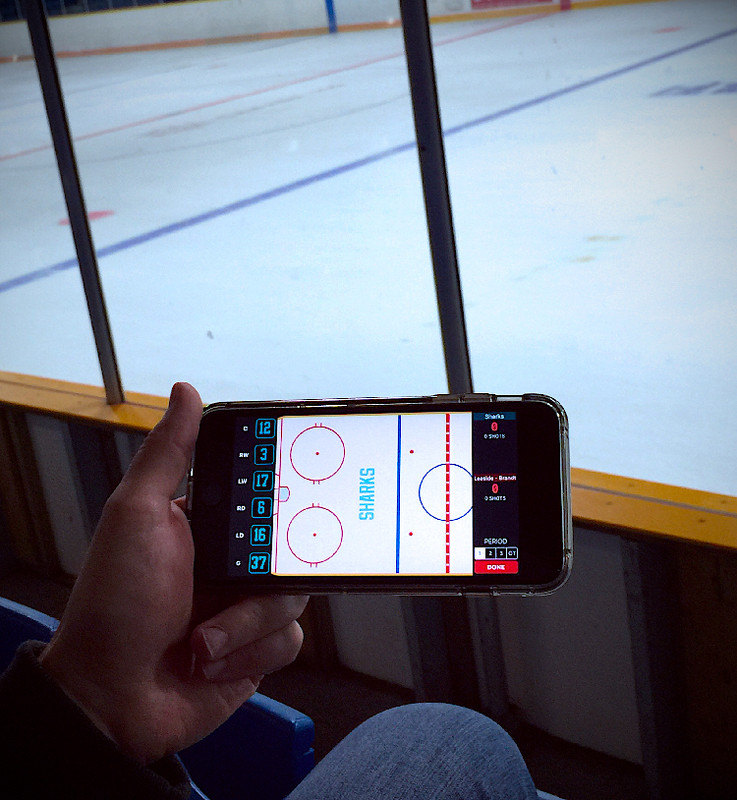 Goaliath was designed to make it easy to track the stats and still enjoy the game! A re-playable guided tutorial helps you through your first time using the app. 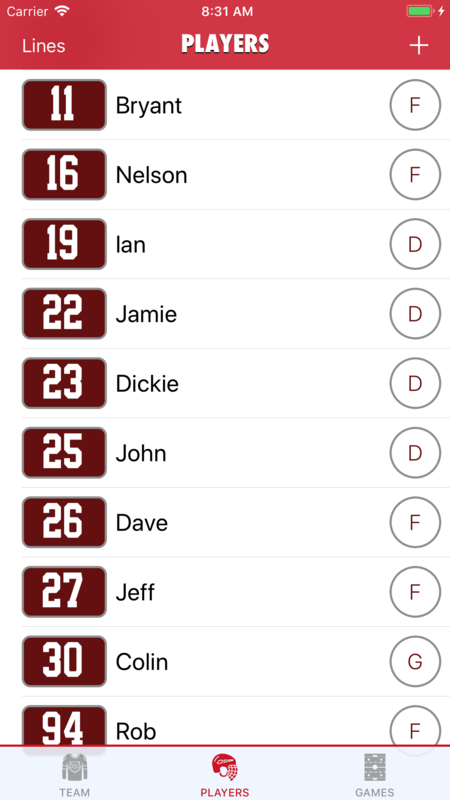 Goaliath lets you track vital statistics for every player on your team and quickly see who leads in each category. If you're tracking stats for more than one team, Goaliath supports that too. 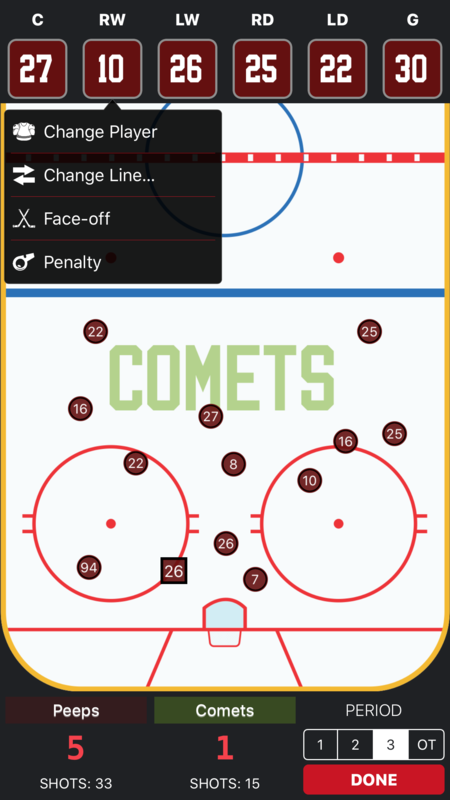 Goaliath's Live Tracker gives you a top-down view of the ice where you simply tap to record a shot or double-tap to record a goal! 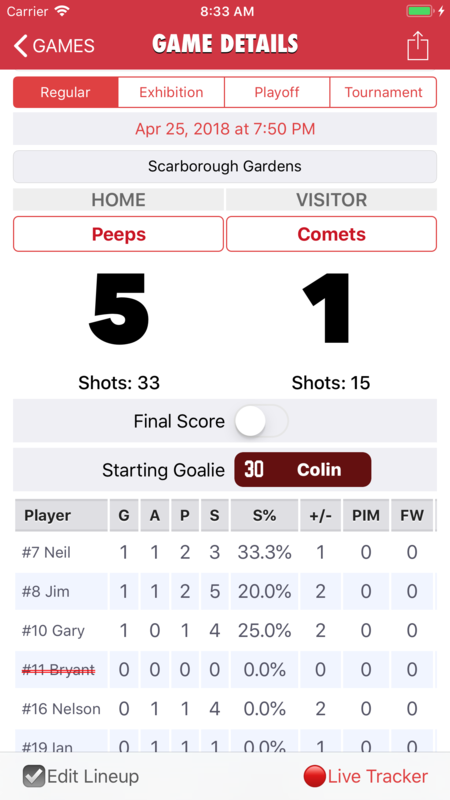 Goaliath can even automatically record plus/minus stats for you based on which players you have "on the ice" when a goal is scored. What good are stats if you keep 'em to yourself? Coaches and players will love seeing all the numbers after the game! Goaliath lets you easily share your work in a beautiful email. Hello! I'm the developer of Goaliath. I'm also a hockey dad. I've been the statistician for my daughter's hockey team for a few seasons. After a season of tracking stats with pen and paper I knew there had to be a better way and that the iPhone was it. At the time there were a couple of apps available that did some of what I wanted but none offered quite the right mix of features. 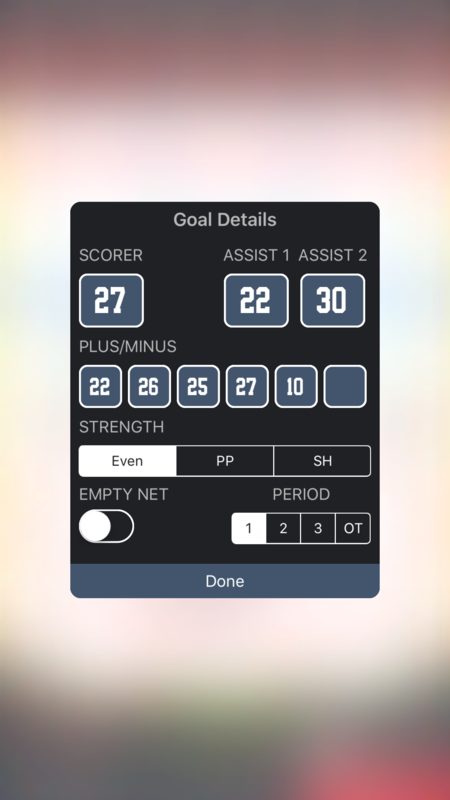 So I set out to develop the stats tracking app of my dreams, and Goaliath is the result. I can tell you from experience that the coaches absolutely love having the stats report in their hand when they head into the dressing room after the game! "The best of its kind!" "I have used a number of shot/stat trackers over the last few years. This one blows them all out of the water. It is easy to use and does not ruin your ability to watch and enjoy the game. The ability to break down the stats in so many different ways really is a bonus and allows our coaches to focus in on all aspects of our game." 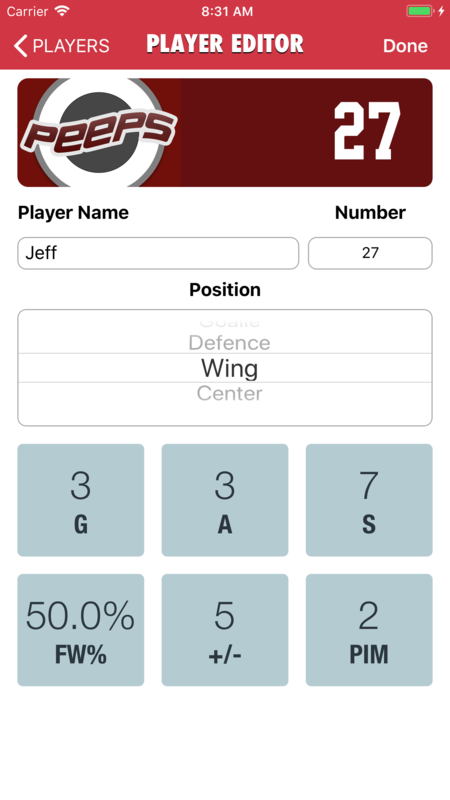 "This app is the best I have downloaded for hockey stats. User friendly with all the stats that one could need to analyse individual players/goalies, including the entire team. 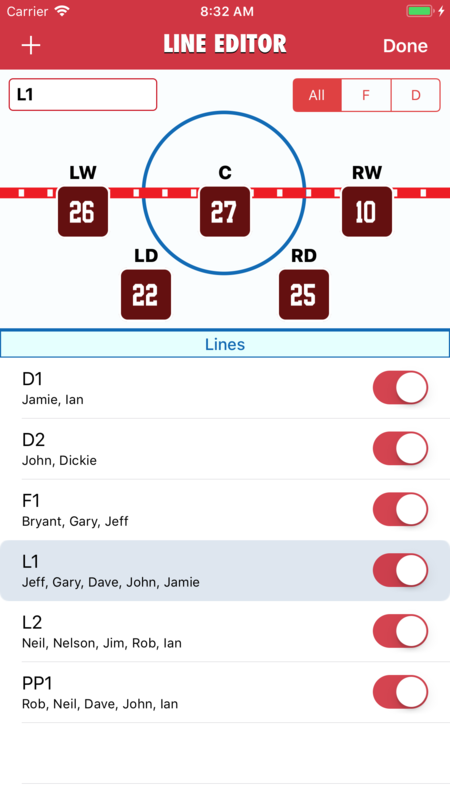 The ease of operation allows the user to follow the game and easily record stats. Also, I must compliment the developer on their support. It is timely and to the point. Thanks for developing this app; it is exactly what I have been looking for." 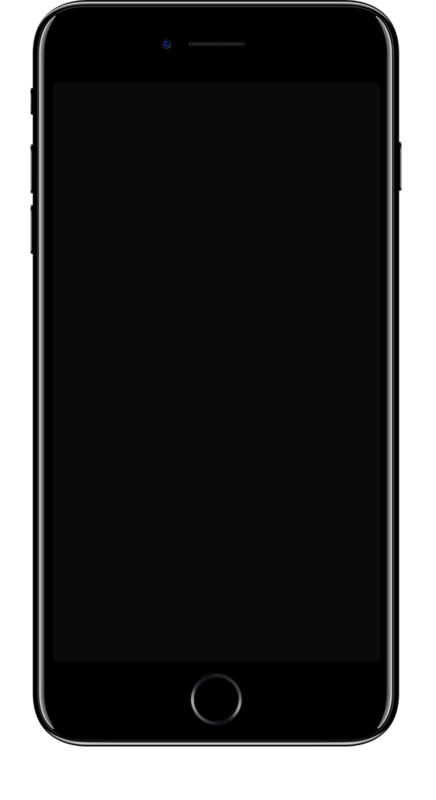 "I starting using this app in September 2018 and it is awesome. One coach asked me to email him the stats after each period and the others at the end of the game. As each game remains on my iPhone we can review at any time. I have shown it to other coaches and will probably become the norm for our rep teams!" "I was looking for a way to keep track of shots, goals, assists, etc for our beer league hockey team. This app delivers. 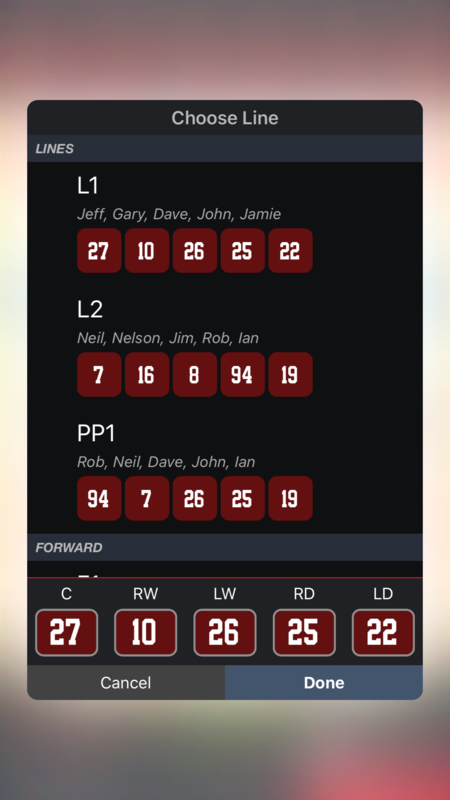 Input your team, input your roster, then add games as they occur. The live tracker is the big benefit of the app. I've been keeping track of both our shots and opponent shots which has really helped us identify some defense issues (wings - go figure). 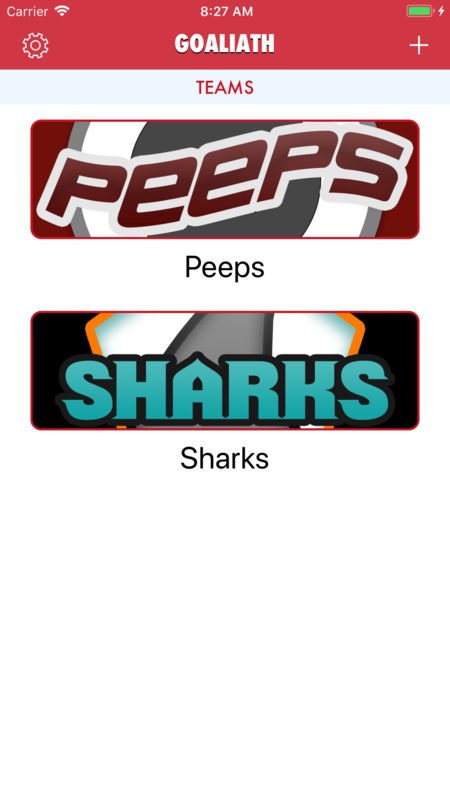 Great app." "This app is one of the best our there for tracking game stats. I have been doing stats for my daughters team for about 4 years now, and have struggle with out apps, excel spreadsheets until now. This has everything you can think of. And with the latest updates it is even more powerful. I must have and well worth the investment. I highly recommend this for anyone doing team stats." "Once you have gone though the set up, this app is very easy to use. 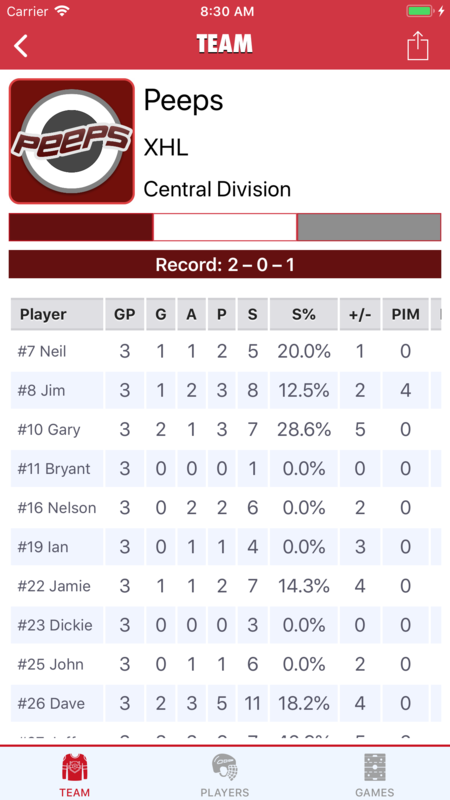 Has all the detailed functions you need to accurately track your hockey games. Must have for any team." 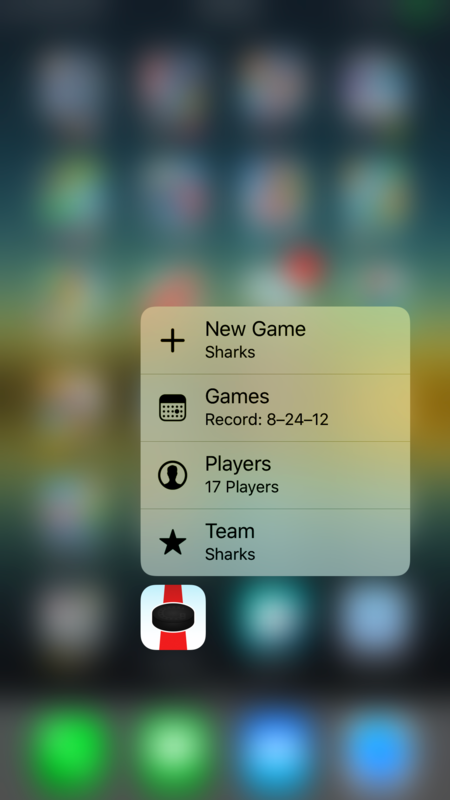 "I looked for a while for an app to track stats on games and players. This app beats every other one by 100x. First the UI is the easiest way to track a game visually, rather than looking at columns and tables. Second the setup is easy to manage and is very intuitive. Theres no double entry or confusing stuff. It is a very well thought out app." "Great App, which is the right combo of function and ease of use"
"The App provides great tools to track shots and goals during my children’s ice sports. I have 2 daughters that play Ringette and a son who plays hockey, switching from Team to Team is a breeze. The developer has nailed the combination of great looking stats with simple functions so that being able to watch the game and keep stats is easy and fun to do. Thanks and keep up the great work!!" I hope you enjoy using Goaliath. However, if you're any having trouble with Goaliath or you think you've found a bug, please let me know about it! I would also greatly appreciate any feedback or ideas you have for making Goaliath even better.